Every buyer has an idea of what their second home in Mexico will look like – perhaps an oceanfront villa, a luxury condo with beautiful views from the terrace or a more traditional home full of Mexican charm. But whatever your vacation home style, your home décor is sure to be an important part of making your new home a reflection of your taste and personality. 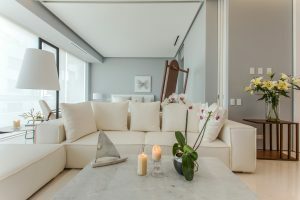 When buying a condo or home, many properties will come either fully or partially furnished as part of the sale, meaning just small décor touches will be necessary to make it feel like your own, so for many, a furnished option is an excellent choice. But what if you buy an unfurnished property? How does one manage to decorate a new home in Mexico when you are living in another county? Many new condo developments in Puerto Vallarta offer furniture packages as an option. An interior designer will present a selection of design styles for different tastes and budgets. This can be an effortless way to have your condo turn-key ready, upon your return. 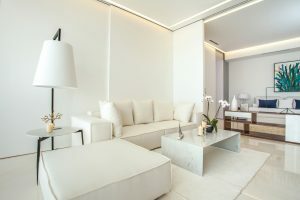 The second option is to hire an interior designer that can work with you virtually over the phone, Skype and email, to help custom design your Puerto Vallarta home. Two local design firms that we can recommend include GD Vallarta Interiors & Agnesi Casa. Decorating is a fun part of the real estate process and whether it be just a few small touches or a full renovation, adding your personality to your new house is what will make it a home.